Related: I finally figured out how to build a tripod mount for my ipod. Yes, I could have bought one by now. No, I didn't. I'll be putting up a tutorial shortly on my brand-new-not-yet-started-polycraftual-blog. Eeeep, I've said too much! Wow, that is VERY clever. Might have to try that soon. Thanks for posting! Wow, thanks for posting this! 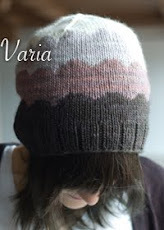 I'm an English knitter, but I do hate purling and I think I will try this! Thanks for the video. I'll definitely be trying this. Alex, this is very cool! I'm definitely going to try this. I actually never even knew it was possible to knit backwards! Very useful tutorial. Thanks! Alex, above post was from me, Lindy, not my husband, Heron. I used his account by mistake. Although I'm sure he would have appreciated your technique! p.s. Those "unicorn" bone needles are very pretty! Vivs, you're adorable. Are you back from your wild outback adventure? With bazillions of pictures of adorable and poisonous creatures to share with me? And thanks everyone! I'm so glad you're finding it useful :-) Or at least passingly interesting, haha. When I was in my entrelac mania phase, I taught myself to purl back backwards, too. Much easier than flipping the knitting around after every eight stitches. I am a thrower and hold my yarn in my right hand, but the principle is the same. I was just reading about this technique in Knitting Without Tears! "To be truthful, I must admit to having taught myself to knit backwards in one of my efforts to avoid my bete noir, purling." Thanks for letting me see what "looking-glass knitting" looks like! Awesome! I absolutely despise purling and can't wait to give this a try. Thanks Alex! oh yahhhhh...this is so cool. 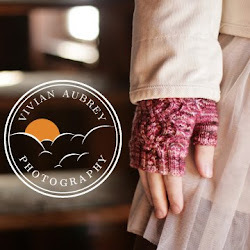 I'm gonna do it and train these older fingers to knit away in a weird way. Alex, good video...nice and plainly explained, from a knitter who's been on the needles for 45 years!!! Thank you for taking time to post this!